British Midland International (BMI), the 47-year-old airline brand, could be dropped in the long term by the owner of British Airways, which has agreed to buy it from Lufthansa. International Airlines Group, the holding company for British Airways and Iberia, today disclosed it had reached an agreement in principle with Lufthansa. 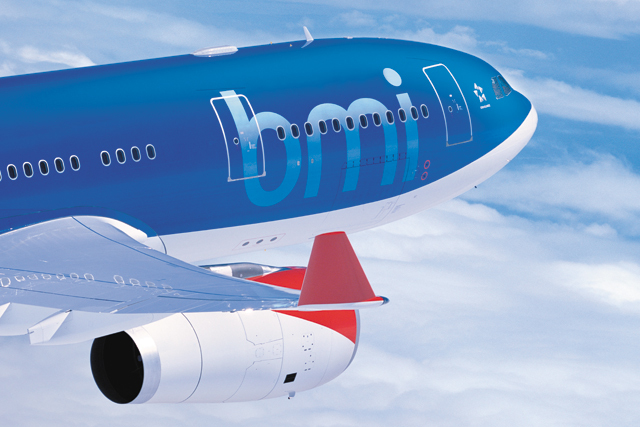 An IAG spokesperson said: "Initially we plan to keep BMI as a separate business", but confirmed that in the long-term it would consider a rebrand. BMI's low-cost brand, bmi baby, appears less likely to survive an acquisition. The spokesperson indicated it was "something we would look at once the purchase has gone through". However, the deal is subject to regulatory clearance as well as a binding purchase agreement and further due diligence. Rivals may object to the impact on competition, as it would add the loss-making BMI's 8% of take-off and landing slots at London Heathrow to IAG's 45%. Virgin Atlantic did so this morning, disclosing in a statement that it had bid for BMI. It said: "British Airways' hold over Heathrow is already too dominant and we are very concerned – as the competition authorities should also be – that BA's purchase of BMI would be disastrous for consumer choice and competition. "With Government limiting growth at London Heathrow, they cannot afford to turn a blind eye to the deterioration of competition that would result from a BA purchase of BMI." IAG said the aim was for the transaction to be completed in the first quarter of 2012. Bmi reportedly lost £105m in the first half of this year, which puts it on track for a worse annual performance than the £125m net loss it recorded for 2010.